Inspection and close examination of the external elevations of a commercial high rise building for defects, following reports of water ingress. CAN technicians investigated the potential source of the water ingress. This included sounding external concrete surfaces with hammers, to help identify the size and location of any defects. 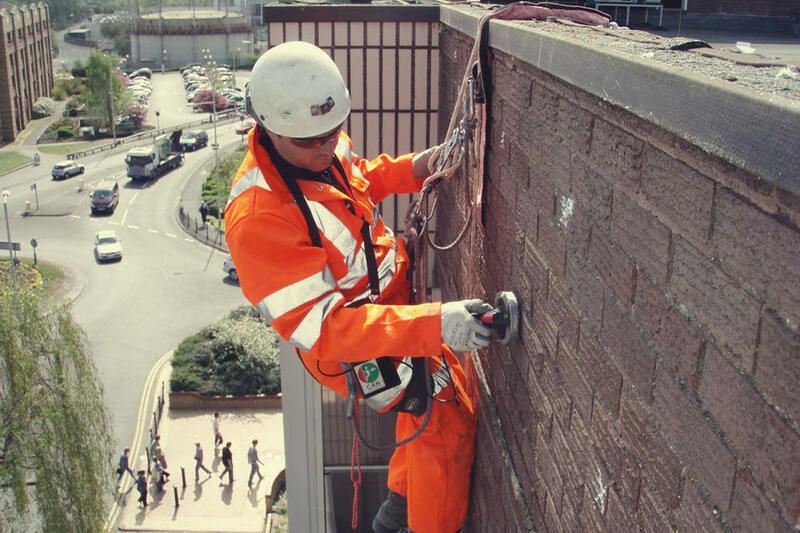 A boroscope survey was undertaken to inspect the brick cavity walls and wall tie locators used to identify the density, location and condition of wall ties. The provision of CAN’s detailed SIMS (Structural Information Management System) illustrated factual report.